Light Elegance, long a well-known leader in gel nail products, announces its first foray into acrylics. The Light Elegance Acrylic line will feature the same quality that the company’s gels are known for. 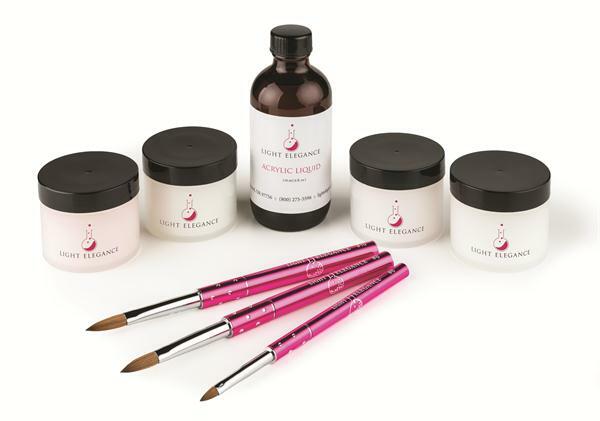 The line consists of a crystal clear powder, a competition pink, a cover pink that is opaque to cover up blemishes, a competition white for the perfect French, AirBond, and acrylic liquid. Light Elegance is also introducing a line of acrylic brushes. Heading up the education and sales team is industry veteran and educator John Hauk, who joins the company as international acrylic sales director. For more information, go to www.lightelegance.com.